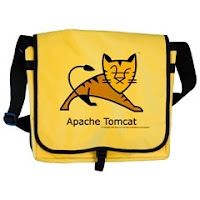 The Apache Tomcat software is an open source implementation of the Java Servlet, JavaServer Pages, Java Expression Language and Java Web Socket technologies. The Java Servlet, Java Server Pages, Java Expression Language and Java WebSocket specifications are developed under the Java Community Process. To Install java check this Post for steps. 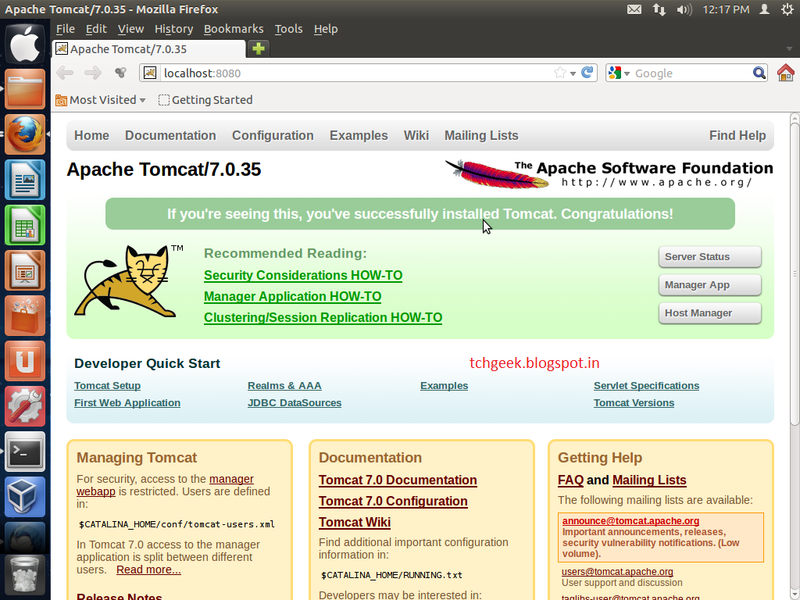 Download Tomcat 7 tar.gz binary distribution from Tomcat webite Click Here. Extract tar file using below command. Move it to/usr/local/tomcat7 location using following command. Add following two lines in there after the first line. Open /usr/local/tomcat7/conf/tomcat-users.xml and Then add a manager-gui & admin-gui role along with user details as below. Start the Tomcat server using following command.